When designing a home wine cellar the first question is usually: “Where are we going to put it?” It can be difficult picking between a main-floor entertaining zone or a perfect nook in a basement with prime conditions for aging. 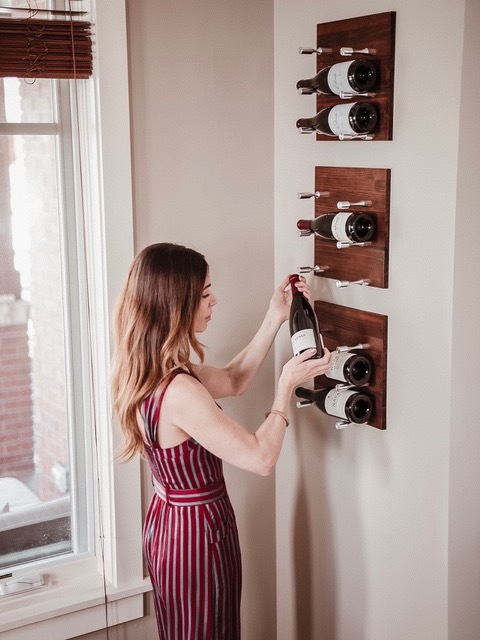 When lifestyle blogger Allison Ruchaber wanted to up the wine storage game in her Denver home, she and her husband, Jason, chose both. 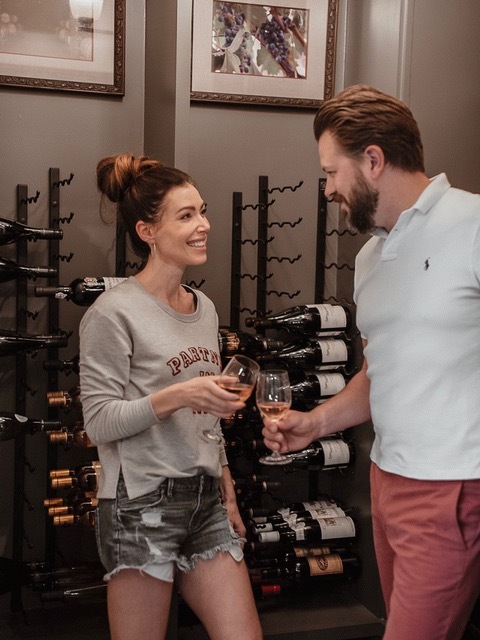 This couple transformed a closet with a refrigerator in their basement into a sleek wine cellar that overlaps the bottle necks for maximum storage (also known as interlacing). 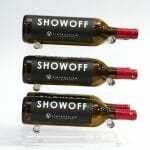 Just off a full wet-bar, it provides easy access during gatherings. The grey walls offer a chic backdrop to the triple-deep satin black Wall Series metal racks. Framed photos atop give the space an illusion of being just another (well-decorated) room in the home. Without additional cooling added, this passive cellar maintains a constant 67 degrees, which is great for short- and mid-term storage. The homeowners were thinking long term, however. During the buildout, vapor barrier and insulation were added to the walls, and space was factored in behind a painting for a wall-mounted, self-contained cooling unit. 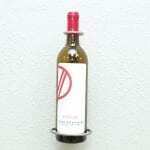 This means it will be relatively inexpensive and easy to turn this into an active cellar perfect for long-term storage. 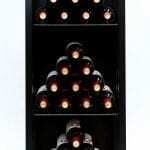 Having a wine cellar is great. But what about some easy access near the kitchen? 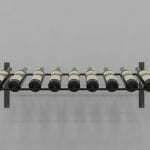 They used a barren wall in their dining room that opens up to a wet bar and kitchen to create a smart, 9-bottle display that adds convenience and style to the room. 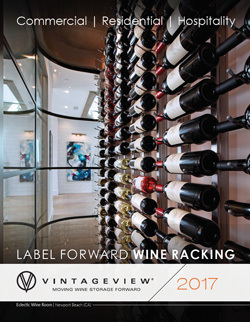 Spacing three Grain & Rod wine wall panels (in L-style fashion to show off the labels), they created a simple, yet elegant wine wall. The panels mix American redwood in Dark Walnut finish with eye-catching milled aluminum pins.